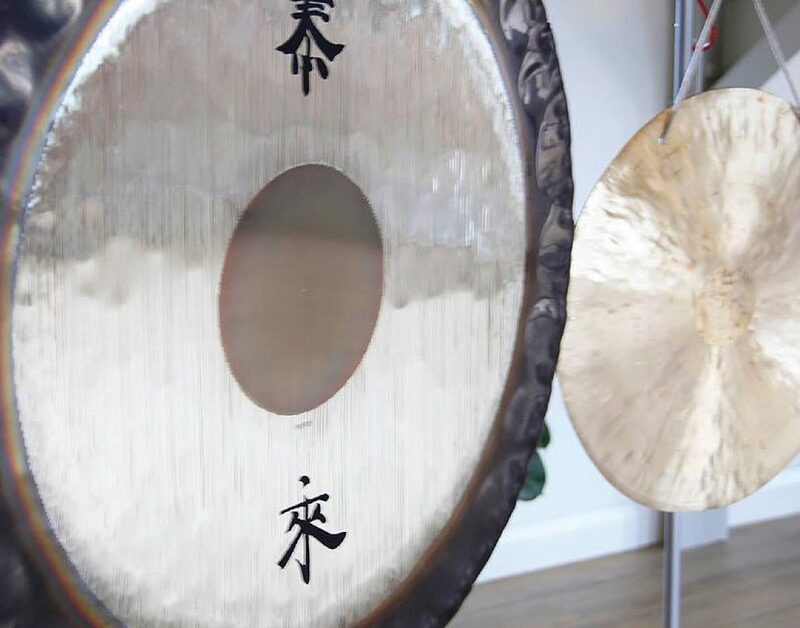 COME AND IMMERSE YOURSELF IN THE HEALING SOUNDS OF THE GONG. LET THE VIBRATIONS CLEAR AND BALANCE YOUR BODY, MIND AND EMOTIONS. PLEASE BRING SOMETHING ALONG TO LIE ON AND ALLOW YOURSELF AN HOUR TO FLOAT IN BLISS AND RE-CONNECT TO YOUR DEEPEST SELF. “I started my career as a Radiographer treating people with cancer. Despite getting to a senior level I very soon realised that my interest was really in preventing disease. I trained as an Acupuncturist in 1991 and built up a busy London practice. During this period I found that I was tuning in to my clients during the treatment and allowed the session to be driven by intuition as well as learnt knowledge. This led me to discover Reiki and I trained to Master level with Richard Ellis who has gone on to write three definitive books on this healing modality. I have continued to expand my knowledge of healing and now include the use of sound to clear and harmonize the body, mind and emotions. I still maintain a London practice and also work from Wadebridge Osteopaths. I run Transformational Retreats in Italy.